For two periods, the Avalanche were flatter than Kyrie Irving‘s earth in their return home after a long five game road trip. Hesitation on offense was a glaring problem for the Avalanche all night. 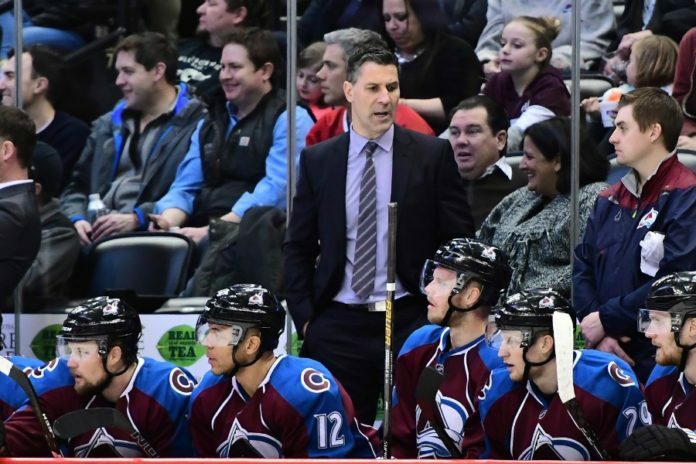 Failing to pull the trigger on multiple shot opportunities, missed open opportunities and a lack of sharpness plagued the Avalanche offense for the first two periods. The Avalanche tied the game on a Matt Duchene goal, that luckily bounced off two Lightning players before finding the back of the net late into the third that sent the game into overtime, a stock-raising effort for Duchene, who netted his first goal in 13 games. Mikko Rantanen had yet another solid contest, netting a goal on five shots for the Avalanche. Rantanen’s one of the few bright spots on a team that’s struggling, stuck in a rut and past the point of recovery this season. The Avalanche have lost six of their last seven, and 25 of their last 30 games. This is not a small drop in performance, this is a long term issue that needs to have the Avalanche front-office thinking shake up. 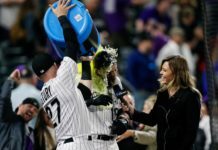 With the trade deadline less than ten days away, it’s time for Colorado to sell. This team has eight goals in the previous six games coming into the Lightning contest. Clearly they aren’t clicking, and they don’t appear to have an internal solution. Nobody should be untouchable when you’re in the cellar. Condensing talent and changing things up is badly needed. 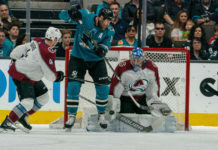 The expansion draft will certainly throw kinks into the Avalanche’s plans in the next coming week; however, this cannot be the excuse in staying put, as the 16-38-3 Avalanche need to address not only its porous defense, but a lethargic offense which ranks last in goals per game. The Avalanche didn’t quit in the game. Held off the board for the first two frames, they were able to fight back, and get the game into overtime. Still, consistency is something the team needs to improve. 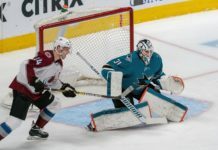 To improve, to get consistent performances, the Avalanche need to accept the status of their team and, with an eye on the future, finally pull the trigger.